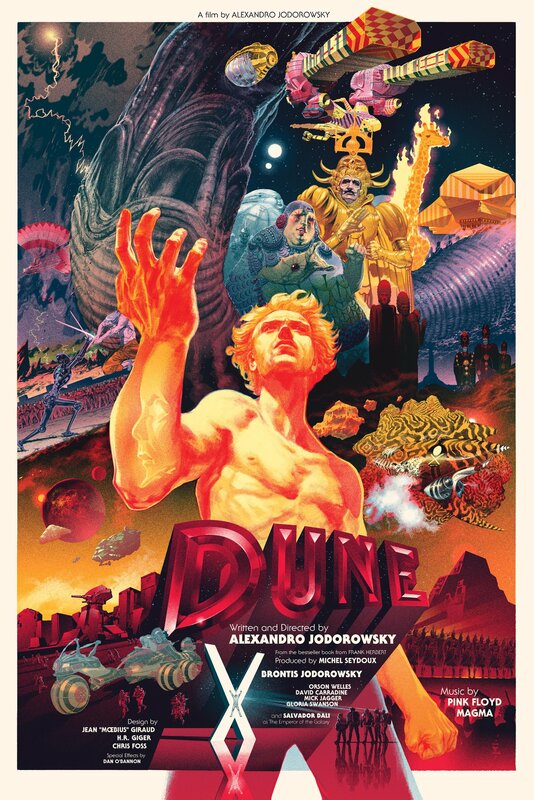 Jodorowsky’s Dune will forever be a gargantuan ” what if”. Chronicled in length through a great documentary, and seeding classics like Ridley Scott’s Alien, the ideas behind the film’s existence remain better than most fully formed films. It’s no wonder then, that sci-fi fans across the globe still fawn over the uncompleted film, going as far as to commission posters such as this one, by Stan & Vince. This piece is wild and colorful, taking into account an unrealized art style and sending our imaginations into overdrive. 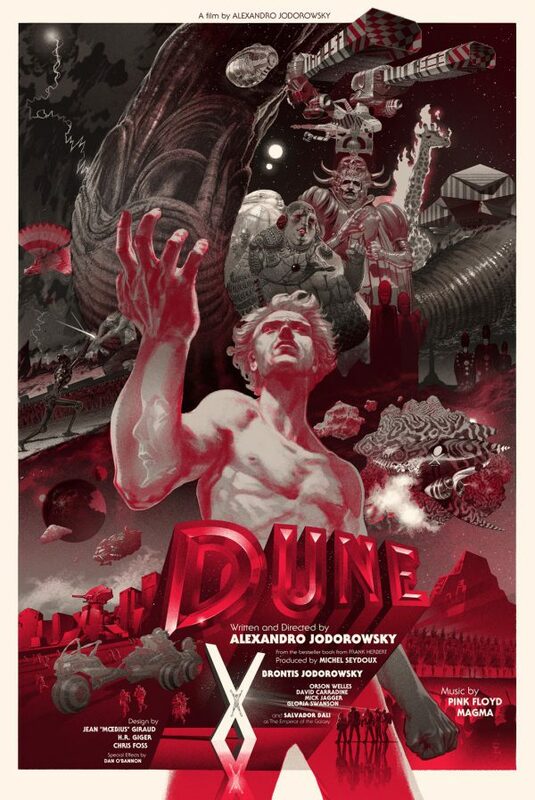 We’ll never see the film, but it continues to inspire nevertheless. Private commission of 25 each.